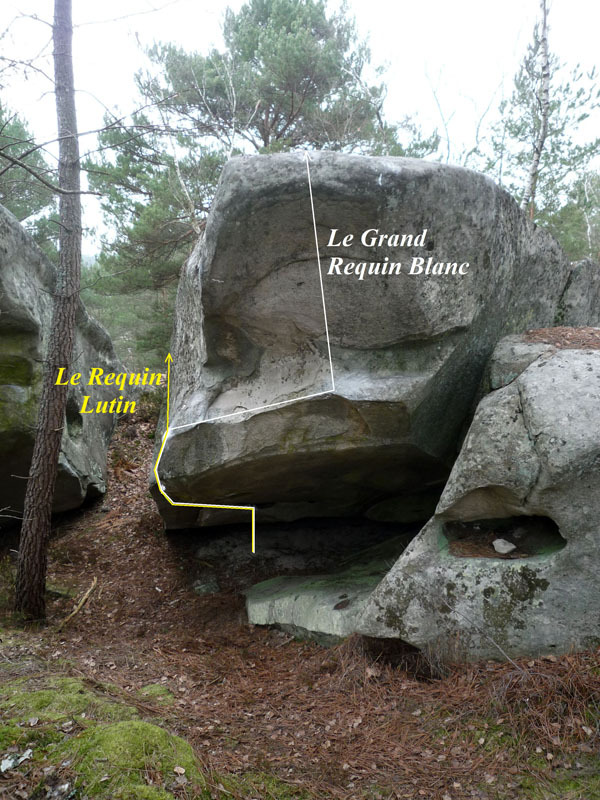 Left problem in the overhanging prow to the opposite of Les Dents de la Mer, 50m above the boulder of Évadés. Low sitstart in the pit with two good holds, climb the overhanging prow and exit by a mantle in the left face with a crimp. ...juste avant le crux du grand requin blanc, par convention, se prend MD ou MG ? Merci d'avance pour les réponses et bons blocs.